Airport Taxi Counters are located outside of the baggage claim area. 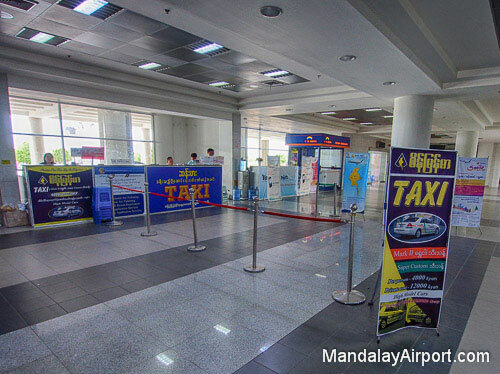 One way taxi fares from the airport are fixed. 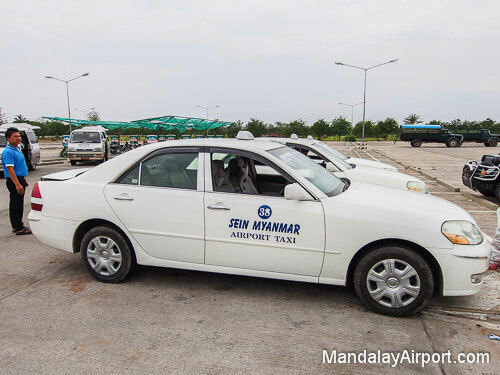 15,000 Kyat – Private Taxi with air conditioning. Purchase a coupon at the taxi counter and proceed to the taxi stand outside the terminal.